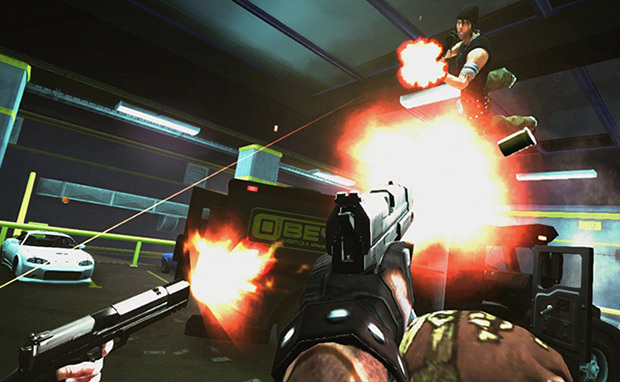 APB Vendetta is set in the world of APB Reloaded, and features an intense shooter style of gameplay, that focuses heavily on movement. 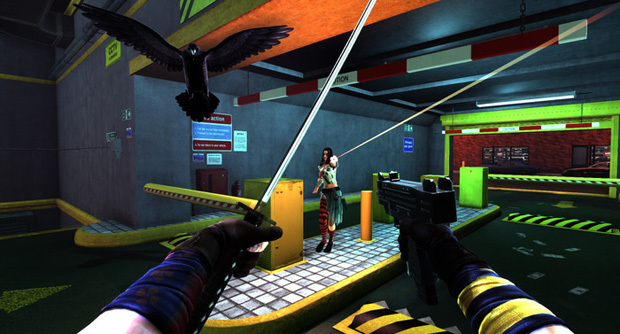 Characters can be customized with a variety of weapons, such as guns, swords, bats, and more. Each character brings their own unique style of play to the table, and with 12 characters to choose from off the bat, there's sure to be something to fit anyone. Movement is Key: Run on walls, slow time down, disarm opponents with kicks and chops, and slide backwards and under obstacles. 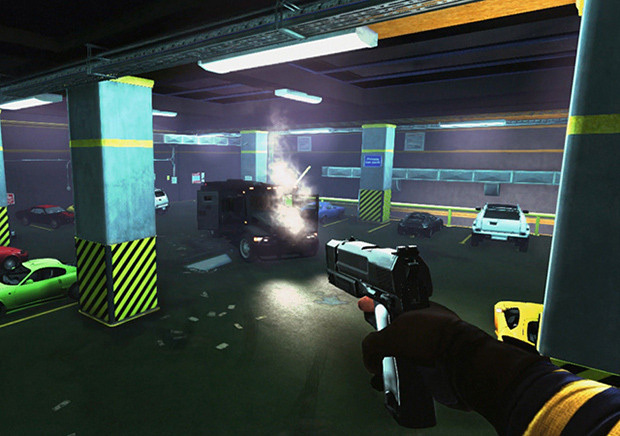 These are just a few of the things you can do in APB Vendetta. Wide Variety of Weapons: Not content with your typical guns? Pick up a sword, a broken bottle, or a lead pipe and do some damage. Playing a strong character? Why not grab two heavy weapons in either hand for some real fun! Unique Characters: Each of the characters offers something different. All characters have unique stats for weight, power, and speed, and all have a special ability that defines them in battle. Community Driven: The ability to link public and private servers in the game world sets APB Vendetta apart. In addition, the rich modding opportunity will help further the sense of community the game strives for. Funding Failed HORRIBLY. That just shows that people do not wat to pay to have a bad game made.